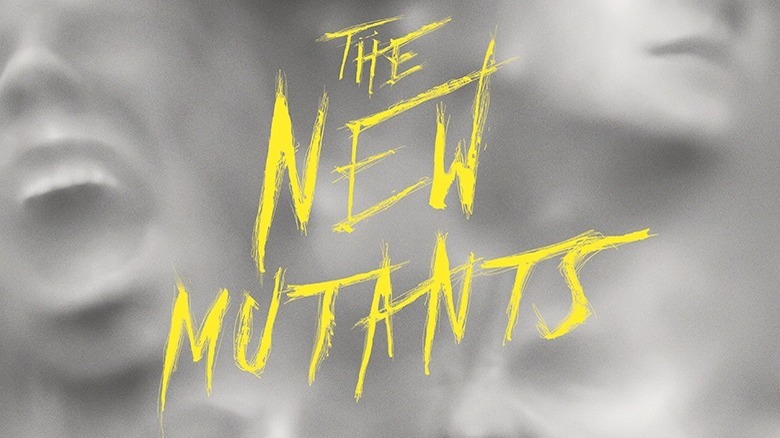 The New Mutants are a team of super-powered humans set to bring a teenage perspective to the world of the uncanny X-Men film series. Some of the actors tapped to breathe life into the X-franchise—which will be darker in tone than most glossy superhero flicks we know and love—are more recognizable than others. To help you get better acquainted with the team, here are some interesting facts you might not know about the cast of The New Mutants. 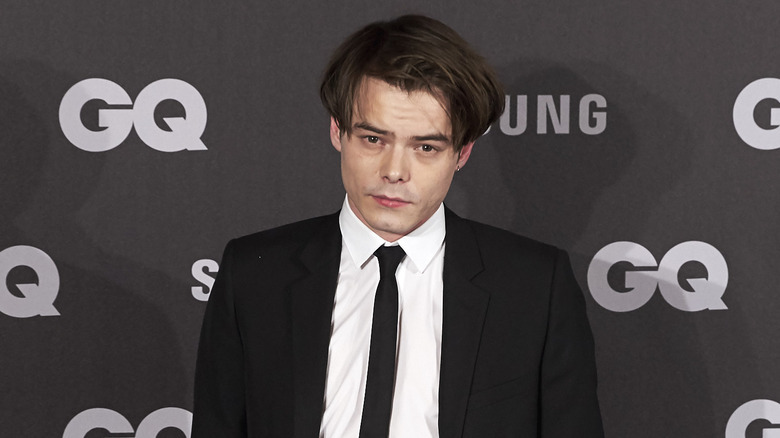 Charlie Heaton is set to bring Kentucky boy Sam Guthrie, better known as Cannonball, to life in The New Mutants. When he's not propelling himself into battle as an invulnerable human missile, Guthrie's love life in the comics is somewhat complicated. By contrast, Heaton's couldn't be clearer. 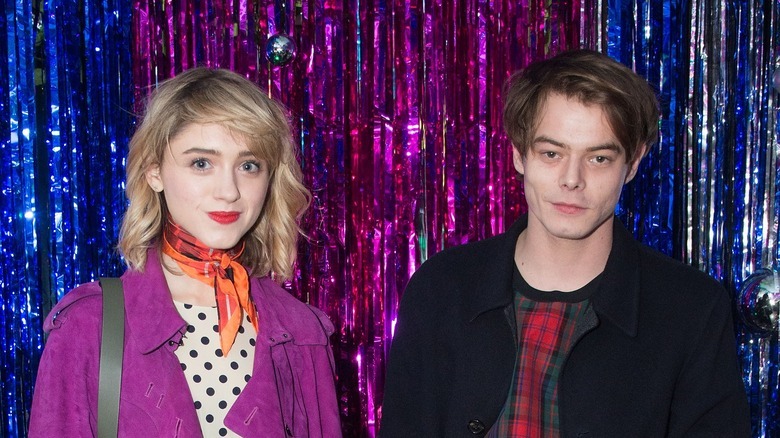 In December 2017 Stranger Things fans who shipped the Jonathan/Nancy pairing saw their IRL dreams for the couple come true when Heaton and Natalia Dyer made their first public appearance together at the Fashion Awards in London. Twitter went into an overdrive of joy at this development, which comes after a year of speculation during which the couple wouldn't comment on the nature of their relationship. That didn't stop the Stranger Things fandom from analyzing their Instagram accounts for evidence though. When a paparazzi shot emerged in October of 2017 that appeared to show the pair holding hands, it seemed only a matter of time before this rumor was confirmed. Heaton was raised in a small coastal town in Yorkshire in the North of England. His parents broke up when he was still young, so, until he moved to London at 16, he was raised along with his sibling by a single mother, just like his Stranger Things character. Heaton lived with his family in public housing. Of this situation, he's said, "My mum worked really hard, we had a fine upbringing … you learn a lot of life lessons when you grow up in slightly difficult circumstances, where you don't necessarily have everything and you have to make your own way." The same could certainly be said of his Stranger Things character, Jonathan Byers, who, aside from working to help support his mother and younger brother, has that whole evil creatures from another dimension problem to deal with. Anya Taylor-Joy, of Witch and Split fame, will play another witchy woman. In The New Mutants, Magik, aka Illyana Rasputin—younger sister of Colossus of the X-Men—has sorcery and teleportation powers. Long before she registered on the radar of Hollywood, Taylor-Joy was just another young hopeful looking for her big break. Stories of young actors being discovered in mundane situations abound in show business, from Marilyn Monroe being spotted while working in a munitions factory for the war effort, to Charlize Theron being noticed after getting into an argument with a bank teller. In the case of Taylor-Joy, her story is a bit more of a hair-raising experience. The star was walking her dog while trying out high heels for the first time when she noticed a car following her. Panicking, as many of us might when spotting a dark car creeping down the street behind us, Taylor-Joy grabbed her dog and started running. "And this guy popped out," she explained to Interview Magazine, "and was like, 'If you stop, you won't regret it.' Which now, looking back, I'm like, dumb move. If someone says that to you, you keep running." Good thing she didn't though. That man was a modeling scout and helped set Taylor-Joy on the path to Hollywood. It's hard to imagine that a successful model-turned-actor could ever have been so self-conscious about her appearance that she'd hide from her own reflection, yet that's exactly what happened to Taylor-Joy. The reason? She was bullied online for her eyes apparently being set far apart, and it really did a number on her confidence. She explained to W magazine that someone once tagged a picture of a fish on Facebook with her name, mocking her far-apart peepers. "I was really upset about it," Taylor-Joy said, "and I kind of stopped looking in mirrors for a very long time." When she was somewhat younger, the actor says her eyes were actually even farther apart, which was something of a problem when playing sports. She claims her teammates had to throw a ball to the side of her head so she could see it coming. It's a bit poetic that Maisie Williams has been cast to embody Rahne Sinclair, or Wolfsbane, who can shape shift into a wolf in The New Mutants. After all, audiences already associate the actor with the wolves of her fictional family crest on Game of Thrones. 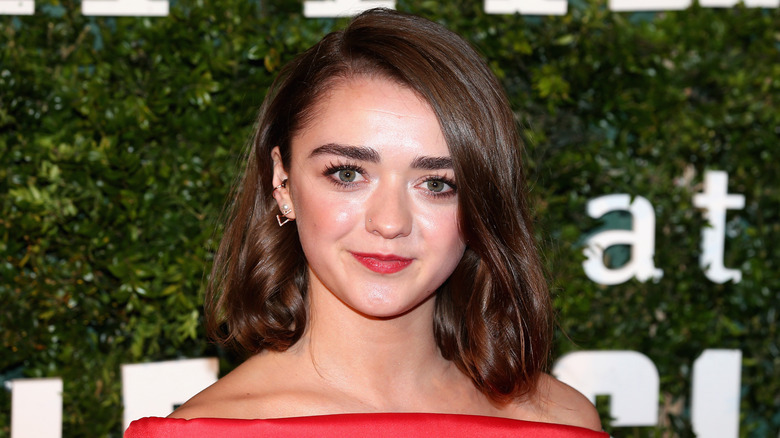 The demands of portraying fan-favorite character Arya Stark on the HBO series include a grueling shooting schedule that takes Williams to multiple international locations for up to six months. Shooting for the eighth and final season has been rumored to be taking nearly double that time, so it's a good thing that Williams managed to launch her own production company ahead of that schedule in Fall 2017. That's right, the Bristol-born actor founded Daisy Chain Productions with the aim of "focusing on youth and the development of talent in the U.K."
The company will produce "U.K.-originated short films, theatrical features and high-end television dramas." First up is the short film Stealing Silver, which stars Williams alongside Ronald Pickup, better known as the Archbishop of Canterbury on Netflix's The Crown. Stealing Silver explores the relationship between a young woman and her elderly neighbor, and you can watch the trailer here. Along with fellow Game of Thrones cast members Lena Headey and Liam Cunningham, Williams visited a refugee camp in Greece in 2016. Refugees from Syria, Afghanistan, and Iraq became stranded in Greece after borders in the Balkans closed and halted the progress of migrants seeking to travel to Europe in 2015. The Game of Thrones actors were effected by the plight of families separated for months (some for over a year) and traveled with the International Rescue Committee to draw attention to the situation. Said Williams after her visit: "For me it is about the children … children with so much potential, so many hopes and dreams. Where is the humanity that makes it acceptable for them to languish in refugee camps—in Europe?" Williams joined Heady and Cunningham in calling upon the European Union to provide more support for the refugees stranded there. Henry Zaga will play the Brazilian mutant Bobby da Costa, known as Sunspot, in The New Mutants. Sunspot has the ability to transform into a solid being made up of solar energy. Before becoming Sunspot, da Costa worked hard to meet the expectations of his father, a successful businessman. And that's something Zaga can definitely relate to. Though he's had dreams of becoming an actor since his high school days, Zaga feared his father expected him to take over the family Law business. Not wanting to disappoint him, he decided to try and attend business school to follow in his father's footsteps. In an interview with Correio Braziliense, the now 24-year-old Brazilian actor recalls how he broke the news to his father that he wanted to change schools to study acting instead. Zaga's parents were separated, but his mother (who he describes as a "cheerleader" for him) apparently cooked them all a special meal to cultivate an "atmosphere of calm" for her son's appeal to his father. Zaga needn't have worried. His father told him, "I'm here to support you in what makes you happy. You should have told me before." Zaga called it a "remarkable day" in his life. Henry Zaga knows a little something about teen drama. His first major credits included two high school dramas: MTV's Teen Wolf and Netflix's much buzzed about 13 Reasons Why. The latter saw Zaga starring in a series that deals with the ramifications of bullying, specifically exploring how such an experience leads high school student Hannah Baker to commit suicide. 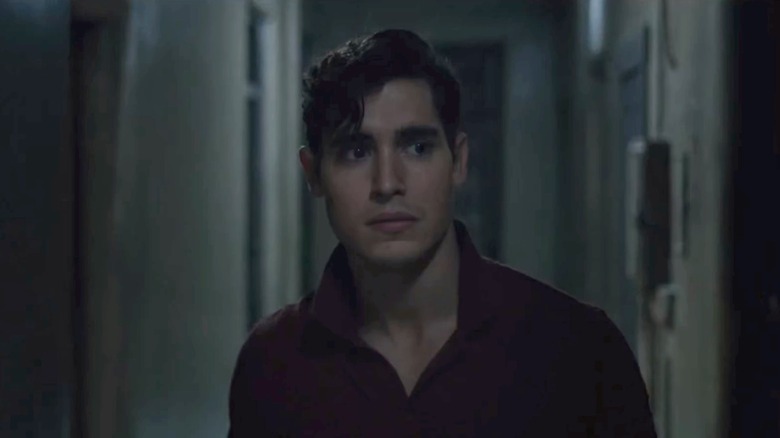 Zaga's sensitivity to the subject extends beyond his performance; the actor stood up to fans when a few of them targeted his castmate Michele Selene Ang on his Instagram feed. Zaga posted a picture of Ang from a spring 2017 visit to New York City. Unfortunately, it wasn't long before a group of fans descended on the post to write "F*** off, Courtney," in reference to Ang's 13 Reasons Why character, Courtney Crimsen. Courtney was a character fans loved to hate, and these fans were quoting a scene in which actor Tommy Dorfman said this same phrase to Ang. When Zaga asked the fans to quit the bullying, some of them tried to explain that they were only speaking to the character of Courtney, not Ang herself. Zaga was quick to point out how hypocritical this behavior is: "I understand but even that in itself is bullying. If you're a fan of the show, you should know that it doesn't fix any problems by telling someone to f*** off as it generates more cyber bullying." 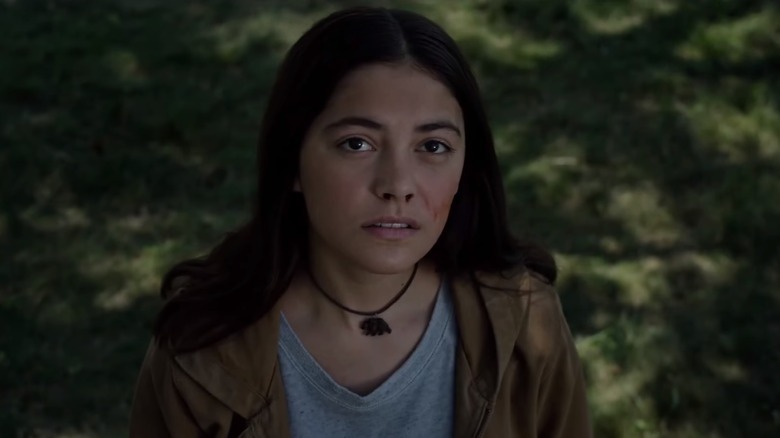 Blu Hunt rounds out the cast as central figure Dani Moonstar, who as Mirage has psychic abilities that are central to the plot of The New Mutants film, if current rumors are to be believed. Before this—her first major film appearance—audiences knew her as The Hollow, a ruthless witch spirit responsible for the creation of werewolves on CW's The Originals. Prior to her work on that series, Hunt had only a handful of independent theater and short film credits to her name. So what's an aspiring film star in her early twenties to do but create her own opportunities? That's just what Hunt did with the web series This Is It in 2016. Focusing on the lives of young 20-something women trying to make it in Los Angeles, Hunt wrote, helped produce, and also starred in the project as Layla, who follows her new friend Danah into the seedier side of the city. In her Kickstarter to raise money for the series, Hunt talks about the importance of working with her nearly all-female crew of writers, directors, and other production staff. One can only assume being cast in The Originals put a hold on pursuing the project beyond her attempt to fund the pilot episode.